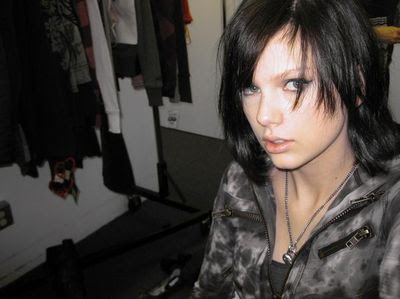 Taylor Swift added a new MySpace picture of her in a black wig. She wore for an episode of "CSI." In the episode, she plays a teenage girl whose family manages a Las Vegas motel and who undergoes personal changes. The episode will air on March 5th on CBS!